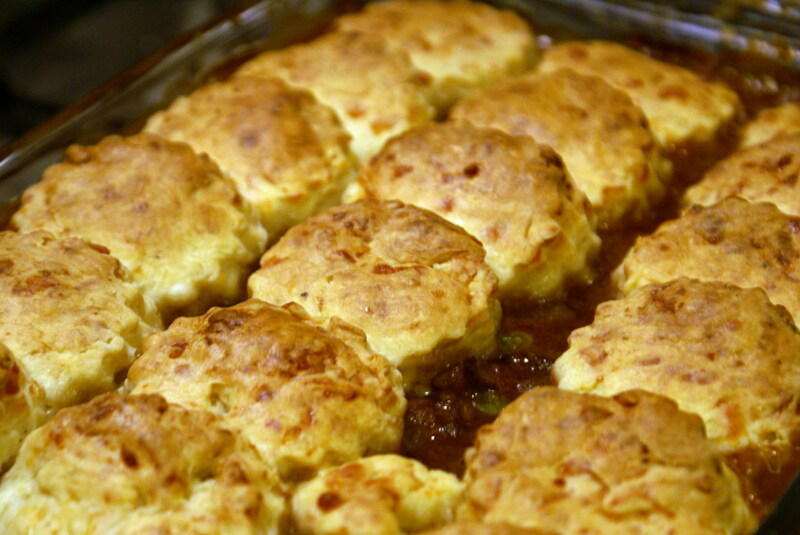 How many stars for this easy recipe. 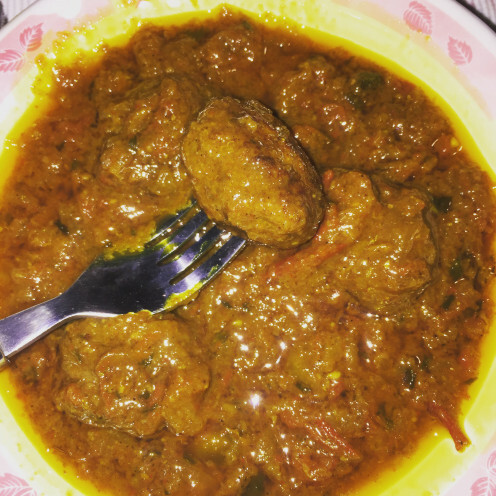 Meatballs also called Kofta in Urdu are a delicious option among non vegetarian dishes. 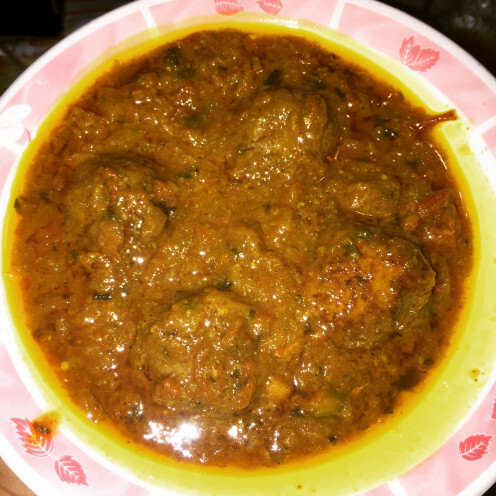 Cooking meatballs in curry makes them even more tempting and mouth watering.The recipe I am going to give here is so simple and easy to follow,you will love to try it every week or so. Just make meatballs once and freeze them to cook later whenever desired. These meatballs will be ready in less than an hour if a pressure cooker is used. With only a few ingredients delicious meatballs in curry decorate your dinner table and freshen up your house with an amazing aroma of the spices. Coriander powder gives curry its authentic taste and aroma. 1 lb Ground beef, Lean or extra lean as per choice. 4 Medium Onions, 2 Finely chopped crushed in the food processor. 2 thinly sliced.Keep seperate. 1 tsp Ginger powder, Avoid using paste if possible. 1 tsp Dry Parsley Flakes, or fresh parsley/cilantro leaves chopped. To make the recipe Even Easier,You may also skip all the spices included in the ingredients and just go with the premixed koft masala. Take ground beef in a large mixing bowl. Use finely minced ground beef for softer meatballs. Add ginger and garlic powder( Not Paste), gram flour,coriander powder,cumin powder, salt,chilli powder (half),and finely chopped or crushed onion(use 2). Keep the 2 onions ,finely sliced separate for curry. Use hands to make balls.Rub some oil on palms to avoid sticking. balls should be about 1-2 inch maximum. 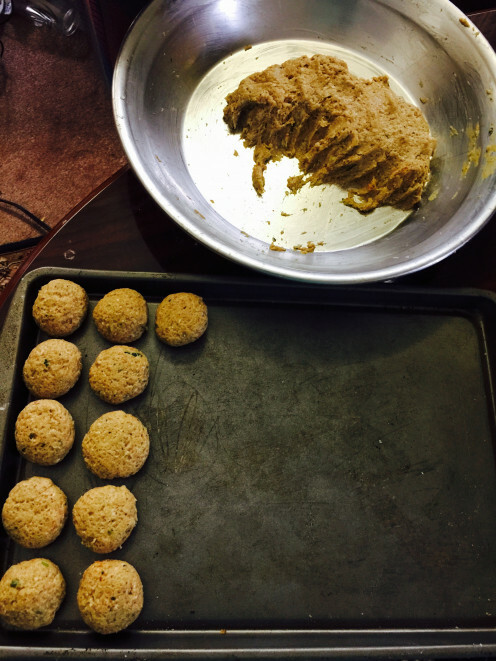 Place balls on a greased cookie sheet and let them set in freezer for few minutes and carry on with the rest of the recipe. We kept 2 sliced onions separate for curry. Add these to pressure cooker with the cooking oil and stir fry for few minutes until light brown. Now add chopped tomatoes and stir for a minute. Add ginger and garlic paste. Stir for a minute. Add chopped tomatoes and stir. Now add 1 cup of water (according to the efficiency of your pressure cooker) and also add salt,turmeric,chili powder and close the pressure cooker and seal it. Cook on pressure for few whistles or according to the time of cooking vegetables in the manual of your pressure cooker which according to mine is 5 minutes. I use a Casa Essentials pressure cooker which is very nice and easy to use and is quite affordable too. Turn off the stove and let the steam of pressure cooker go down on its own. In the mean while take out the meatballs from freezer and let them defrost a bit. Now open the pressure cooker and stir for few minutes on low flame and make sure the water has dried up and the oil separates from the curry. Add meatballs to the curry.Do not overlap. Add a cup of water and set the pressure cooker again and let cook for 5 minutes on pressure setting or few whistles. Then turn off the stove and wait fr pressure to go down before opening the cooker. Yummy meatballs in curry are ready to be devoured. Add fenugreek leaves(optional) and green cilantro leaves and all spice powder and mix well before serving. Here is the pressure cooker that I use for cooking smooth curries and soft meats. while making balls try to make them soft. The texture of the mixture should be fluffy and soft ;the fluffier the mixture is the softer meatballs will be when ready. Do not stir too much or use spoon after adding meat balls to curry to prevent breaking them. Rub some oil on palms before making meatballs to avoid sticking. If the mixture feels a bit sticky its a good sign because that is how you make your meatballs really soft on the inner side. the mixture that feels dry and easy to manage does not give good result in the cooked form at the end. Boil few eggs and remove shells and slice them or cut them into halves. 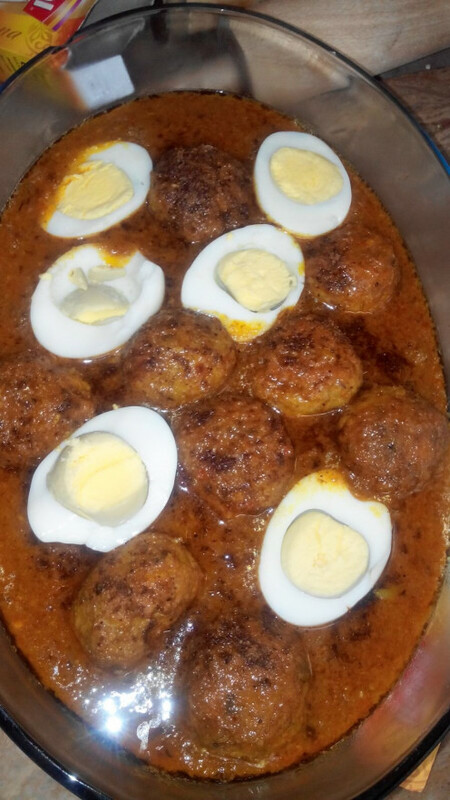 Garnish the meatballs curry with eggs. 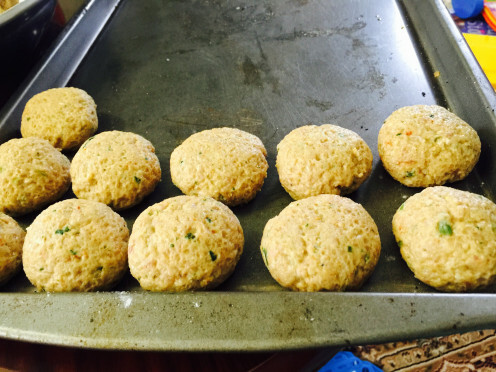 Serve over steamed basmati rice or with Phulka (flatbread),naan or even spaghetti. Xinspiredx I am so glad you stopped by to go through my recipes and actually write a nice encouraging comment. Thank you very much for your appreciation. Take care. 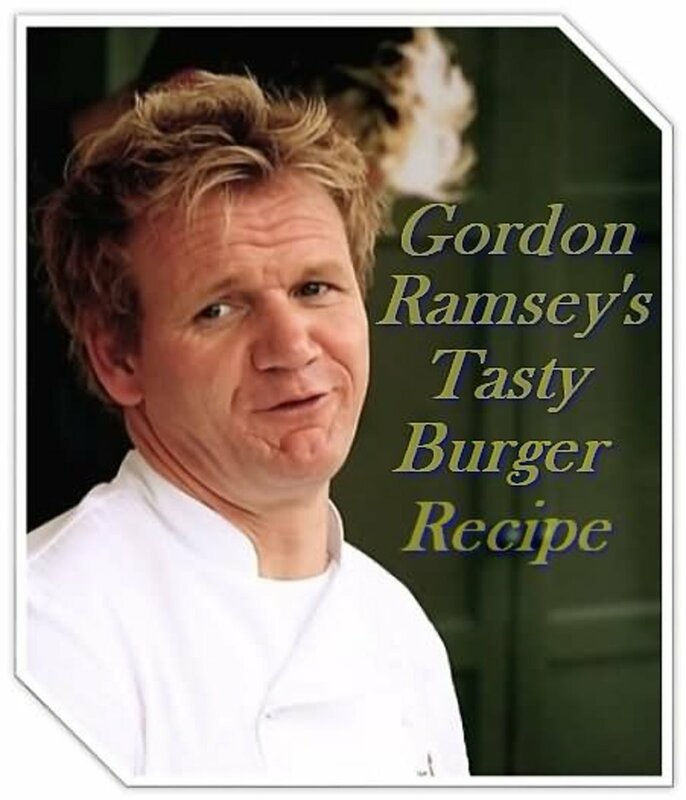 I took the time going through your recipes, reading the ingredients and prep time. It's absolutely incredible! Hm, growing up in a Italian home with everything European was really great but being on my own I'm always looking for something different. Thank you for taking the time to share. I will be trying the recipes.